The remains of a German World War I U boat are visible on a mudflat next to the River Medway in Kent. 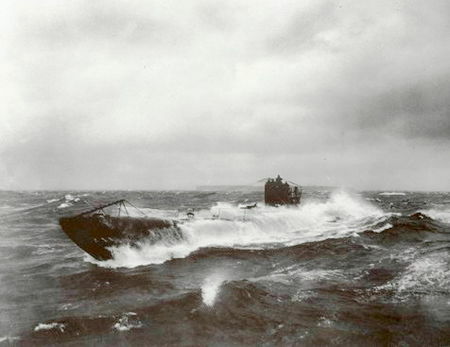 The BBC reports that experts believe it is UB122, which was one of more that 100 U boats that surrendered at the end of World War I and were subsequently scrapped by the British. To see the BBC footage of the boat, click here. This entry was posted in News and tagged 1918, Bremen, German Imperial Navy, Kent, navy, news, River Medway U Boat, U boat, UB122, World War I Centenary. Bookmark the permalink.